This "sasquatch" was spotted in Concord, New Hampshire, on Friday. Move over, Boston Yeti. The New Hampshire Sasquatch is here. Last winter, a person dressed in a yeti costume made headlines in Boston and across the globe after he was spotted roaming the streets of Boston and Somerville. Necn even did a Twitter Q&A with the friendly beast. Now, Sasquatch is on the loose in Concord, New Hampshire. 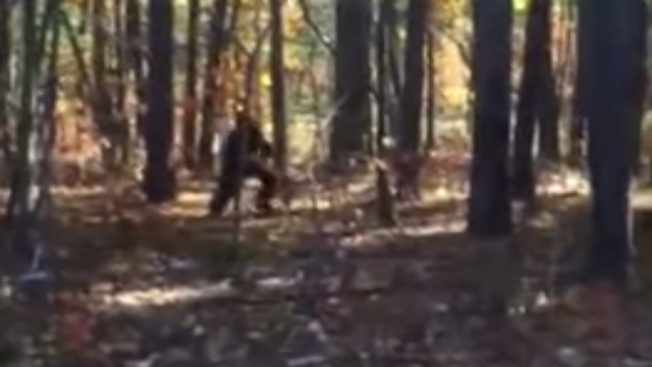 Just in time for Halloween, New Hampshire Fish and Game posted a YouTube video to its Facebook page on Friday showing a bigfoot-lookalike wandering the woods outside its Concord offices. No word yet on whether the New Hampshire Sasquatch has a Twitter account.